Export Unity Scene to Three.js or A-Frame. 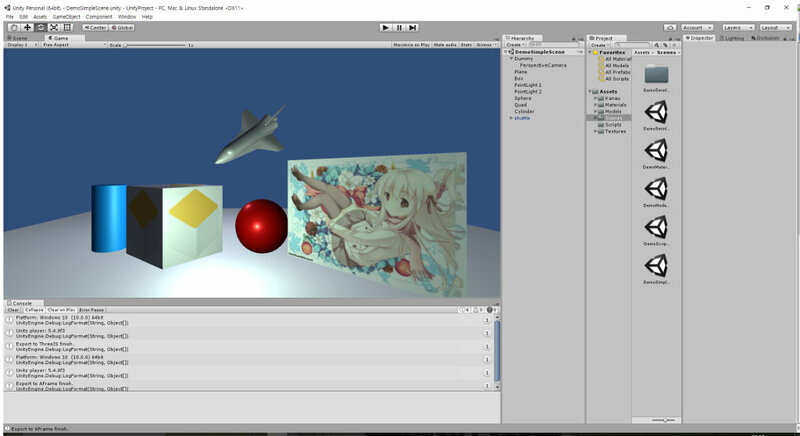 Open your Unity3D project. 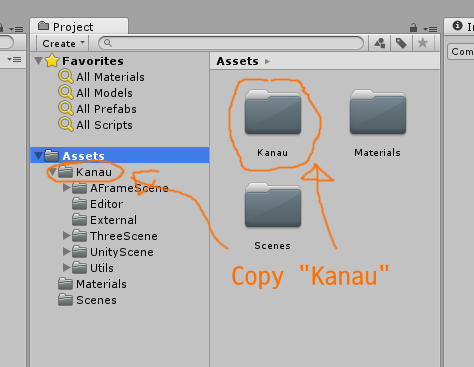 Copy `/UnityProject/Assets/Kanau" directory into your project’s assets directory. 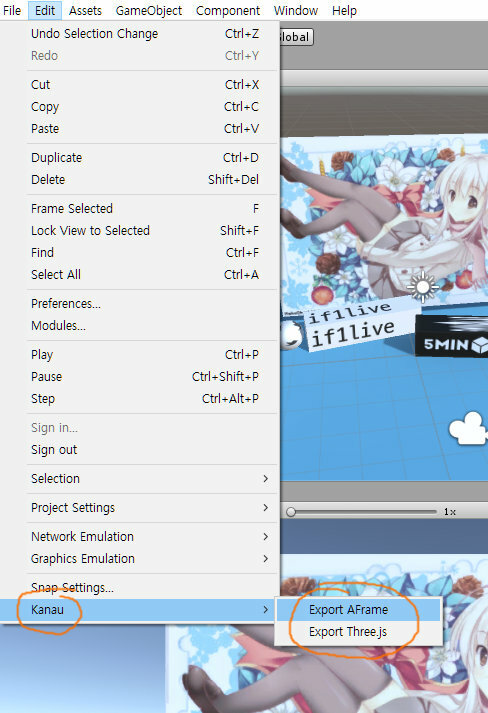 If you don’t want to export lightmapping, skip it. 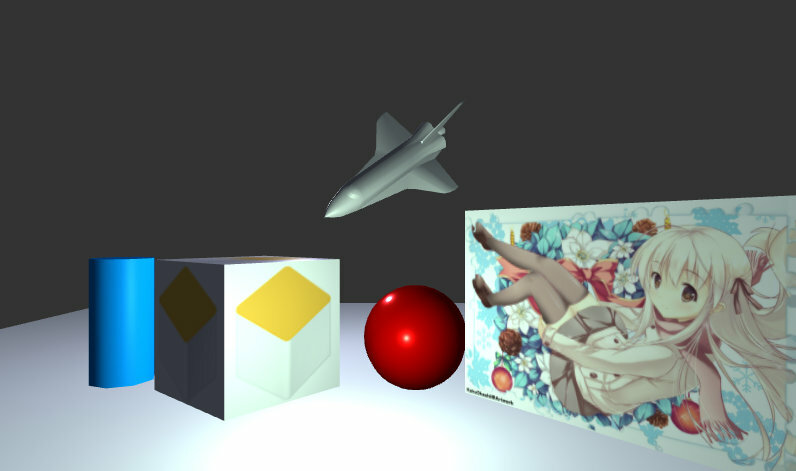 /UnityProject/Assets/Scenes/DemoLightmap is Lightmap Sample Scene. 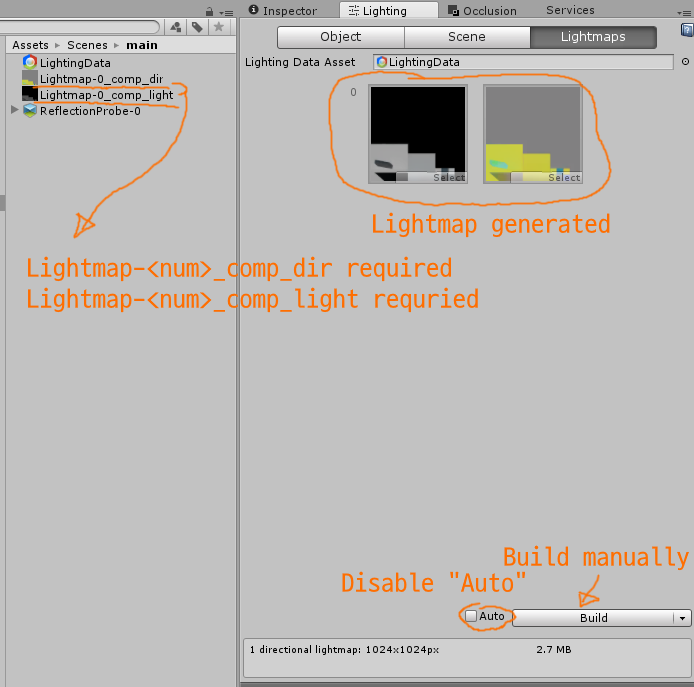 Disable Automatic lightmap build to make exr files. Then, build lightmap. If automatic lightmap enabled, exr files doesn’t exist. 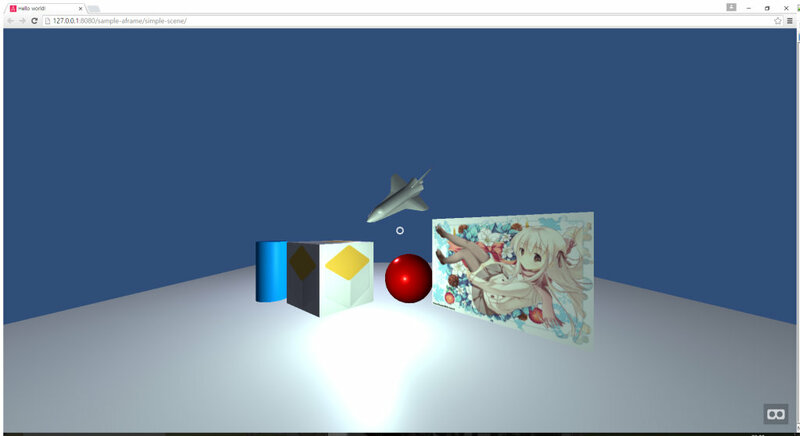 Edit -> Kanau -> Export Aframe or Export Three.js. Click Export and select target filepath. Open exported html in browser. Export configurations are used in A-Frame exporting. 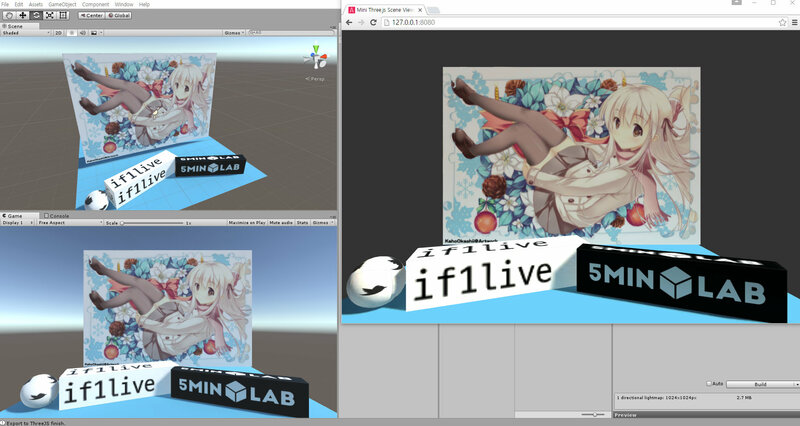 Three.js doesn’t use it. A-Frame is unstable library. (current A-Frame version is 0.3.2) In future, A-Frame exporter wiil be broken.